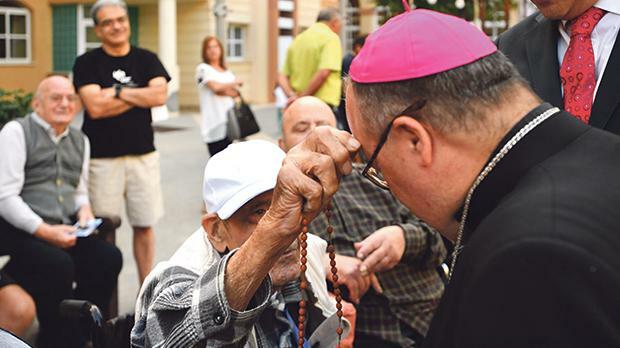 Archbishop Charles Scicluna celebrated Mass during the feast of St Vincent de Paul in the main square of St Vincent de Paul Residence, the home for the elderly, in Luqa. The feast was organised by the Parliamentary Secretariat for Active Aging. The Archbishop had the opportunity to meet the elderly residents, staff and any relatives who turned up for the event.